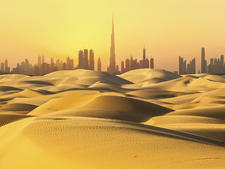 The Middle East's exotic aura attracts history buffs and adventure seekers looking to expand their cultural horizons. Egypt's pyramids and Jordan's lost city of Petra are must-see landmarks, while souks (markets), breathtaking mosques and desert safaris also make for great exploring. 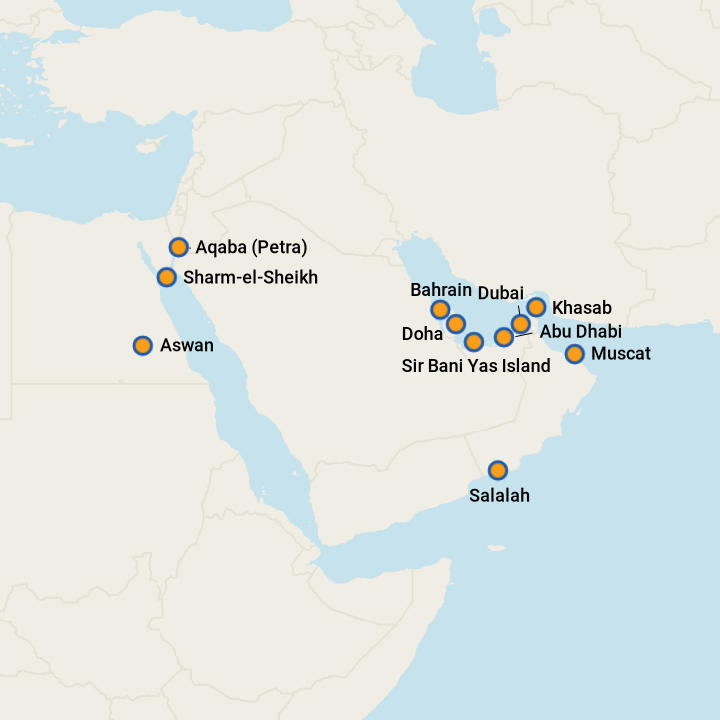 Arabian Gulf cruises to the United Arab Emirates and Oman provide a look at the modern-day Middle East, with the world's biggest buildings and malls. 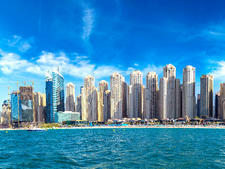 Dubai and Oman -- and, increasingly, Abu Dhabi -- are well established as winter sun or long-haul stopover destinations. So it's no surprise that cruising in the Arabian Gulf should be enjoying new-found popularity. Certainly, there was a time during the last decade when fledgling cruise programs here fizzled out due to the unsettled political situation across the broader Middle East, but the whole region is now enjoying a revival in confidence and a tourism boom. Recognizing the benefits of warm, sunny winters, gorgeous beaches, an ancient and fascinating culture, a continual stream of new tourist attractions and shopping opportunities galore, cruise lines such as P&O Cruises, Celebrity, Royal Caribbean, Costa and MSC now offer regular winter seasons in the Arabian Gulf, operating from Dubai and Abu Dhabi. Other lines -- among them Silversea, Seabourn and Azamara Club Cruises -- offer a handful of Gulf itineraries, while many a world voyage passes through en route to or from India. German and Spanish lines, like AIDA, TUI and Pullmantur have ships based here, too. Passengers have discovered that, somehow, cruising this region makes you feel like a VIP. You'll fly on a top-notch airline to cities that are exotic and flashy. There, you'll find shopping that is out of this world, first-rate cultural attractions and limitless sports and outdoor activities. This is a world that's not afraid of glamor and everything gleams in the year-round sunshine. But best of all, cruising brings an affordable element to a region that can be on the expensive side. Seven nights on a ship is a way to enjoy all the best aspects of the Gulf without having to worry about the prices associated with living the high life ashore. Intrigued? Then let us further convince you with eight reasons you should consider a cruise to the Arabian Gulf. The Arabian Gulf is back in fashion, with more cruise lines than ever operating out of Dubai and Abu Dhabi. Fresh investment and innovative cultural attractions have really broadened the appeal of the region. There's a terrific buzz about Dubai, while Abu Dhabi is inordinately proud of its beautiful new Louvre museum. Meanwhile, the opening of Sir Bani Yas as a semi-private beach resort has added a whole new dimension to Gulf cruises. True, most lines seem to offer the same set of shore excursions, but the scope is certainly getting broader -- there's much more emphasis now on food, adventure and culture than merely shopping. You could organize a lot of the following tours yourself but with the usual caveat of timing; the traffic in Dubai, in particular, is extremely busy, so getting to your destination can take ages and getting back to the ship on time can be stressful. The tours are all guided, too, so convenience aside, you'll learn more. 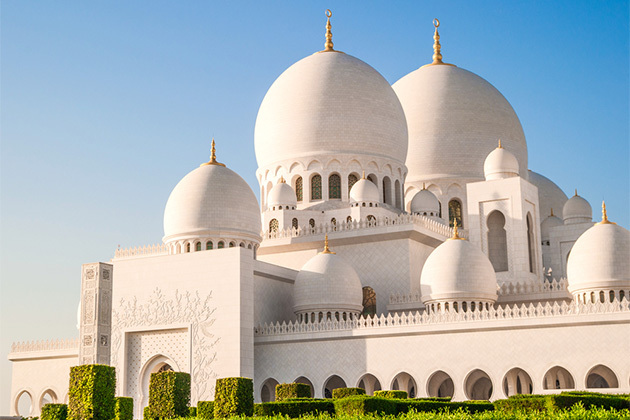 Here are some of our favorite shore excursions on a cruise to the Middle East. Got a penchant for exotic adventure? 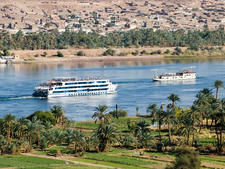 Try these Middle East cruise tips. They'll help you with Middle East planning and tell you when is the best time to go to the Middle East. 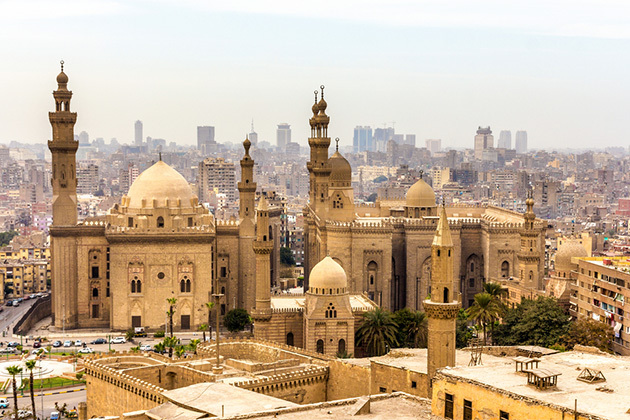 Cairo offers a glimpse into the wonders of ancient Egypt. Get tips and tricks for how to approach an all-too-short overnight call on your cruise.